This text is not from The Life of Man; we wrote it. But it accurately portrays Wood’s description of these events: it wasn’t Brinkley’s idea to run for governor; oh no. 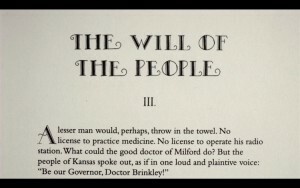 It was the will of the people!